Escrow is the term used when assets are held by a neutral third party on behalf of two contracting parties, subject to a transaction between them being completed, until certain obligations or conditions under an agreement are met. The assets are held in an escrow account until the escrow agent receives the appropriate instructions or until predetermined contractual obligations have been fulfilled. Cash, securities, funds and other assets can all be held in escrow. Sovereign Trust (Hong Kong) Ltd. is now providing escrow services for a range of international businesses, including multinational enterprises, accountancy and law firms. The contracting parties sign an escrow agreement and an escrow account is set up. The escrow agent confirms receipt of the escrow funds to both contracting parties. 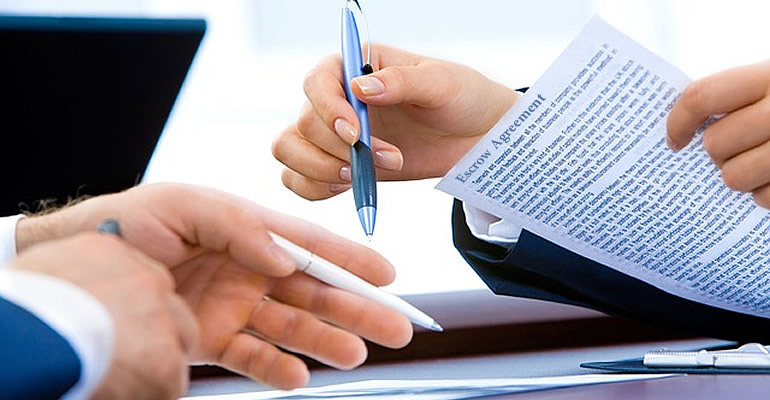 When a payment event happens – such as completion of the transaction – the escrow agent releases the escrow funds in accordance with the terms of the escrow agreement. Sovereign will provide a template escrow agreement to the escrow parties and assist them to create a bespoke agreement that fully reflects the facts and circumstances of a particular transaction. Sovereign will provide secure control over assets throughout the life cycle of the escrow agreement and will communicate with both parties as to progress under the escrow arrangement. Finally we will ensure that assets are properly released as contractually agreed in the escrow agreement.